Believe it or not, the Raspberry Pi is now six years old. In its relatively short life the Pi has ushered in a new revolution in computing that stretches far beyond its original remit which was to promote basic computer science education in schools. There have been several fresh Pi developments over the past few years. The Pi Zero was released in 2015, and the Pi and its 'essentials' kit is available for less than £11 (around $15, AU$20). The Pi Zero W was added to the Zero family in February 2017, featuring a 1GHz processor, 512MB RAM and support for Wi-Fi and Bluetooth, all for just over £15 (around $20, AU$26) with accessories. The latest mainstream Pi, the Raspberry Pi 3 Model B+ has just been released. 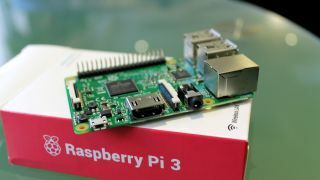 It sports a quad-core 64-bit CPU which is slightly faster than the original Raspberry Pi 3 and 1GB of RAM for about £32 (around USD$43, AU$56), and it’s suitable for applications requiring more processing power. It also benefits from faster wireless and wired network connectivity than its predecessor. There are a number of Linux kernel-based operating systems designed specifically for the Raspberry Pi. These include fully featured distros such as Raspbian, which offers a fully functional desktop environment and is based on Debian, as well as speciality distros like RetroPie, which supports a large number of controllers and is aimed at gaming fans. In this article, we're going to look at five of the most popular and distinct Raspberry Pi distros. 10 best Linux distros: which one is right for you? Raspbian is one of the oldest and most popular mainstream distros for the Raspberry Pi. Although it's developed independently, the Raspberry Pi Foundation also maintains its own recommended version of Raspbian which you can install using the Foundation's NOOBS installer. The latest version is based on the ARM port of the Debian Stretch desktop distro, which improves performance under the hood as well as providing newer applications compared to the previous Jessie-based release. For installation, you'll need a microSD card with a minimum size of 8GB. On first boot you'll be taken to the lightweight and elegant Pixel desktop environment. You can also choose from thousands of additional programs such as the LibreOffice suite or IceDove, all of which can be installed using Raspbian's built-in package manager. A minimal version of Raspbian without a desktop – Raspbian Stretch Lite – is also available. The Pi MusicBox distro converts your Raspberry Pi into the ultimate jukebox. The distro is based on the Mopidy music streaming server that can fetch music from various streaming services including Spotify, Google Play Music, and SoundCloud, as well as a host of online radio stations. Pi MusicBox can also play music stored on an SD card or any USB drives attached to the Pi. Furthermore, you can configure the distro to fetch music by automatically mounting shared folders on the network. Additionally, the distro can also connect to any DLNA/OpenHome and AirPlay compatible devices and can be controlled via any player that supports MPD. Pi Music Box also supports a good many USB audio devices so you can connect external speakers if you wish. The most recent version 0.70 is compatible with both the Pi 3 and the Pi Zero W.
If you're a fan of classic games, grab a copy of the RetroPie distro and transfer it to your SD card. The distro can emulate dozens of classic consoles and home computers such as the Amiga, Amstrad, Atari 2600, Commodore 64, ZX Spectrum, Game Boy, PlayStation 1 and more. RetroPie also supports all sorts of gaming controllers, from cheap no-name USB efforts to controllers for the PS3 and Xbox 360. On first boot, Retropie loads the Emulation Station software which helps you set up the controller and then lets you select a game from any of the supported emulators. The only caveat is that you must get your own ROMs. There are several that can be legally downloaded for free and you can even create your own from old cartridges using adapters like the Retrode in conjunction with your Mac/PC. The Internet Archive also has many ROMs which are free to download – although be sure to check this is legal in your jurisdiction before going ahead. One of the most popular uses for a Raspberry Pi is as a dedicated smart TV box, sitting underneath your big-screen TV to give you access to all kinds of digital media, whether stored locally or hosted online (such as catch-up TV). LibreELEC is an OS specifically designed to run the Kodi media centre, and is super-easy to install too. Boot up, add your own media to its libraries and install the add-ons you want to add smart TV functionality. The media centre also incorporates a 'scraper' to download useful metadata about films and TV shows. You can also pair it with the Kodi remote app for your Android, iOS or Windows phone for the perfect media centre experience. Originally designed for desktop PCs, the OpenMediaVault (OMV) distro has a specially tuned version for the Raspberry Pi that lets you use the little computer as a dedicated Network Attached Storage (NAS) device. Once it's up and running, you can configure and manage the distro remotely using its browser-based admin interface. Any USB devices you attach will be detected automatically and you can also manually add your network storage. For the best performance make sure you use self-powered removable disks. You can use the disks attached to the OMV NAS individually or assemble them in a RAID array. The distro has many options to manage other advanced aspects of a NAS too.